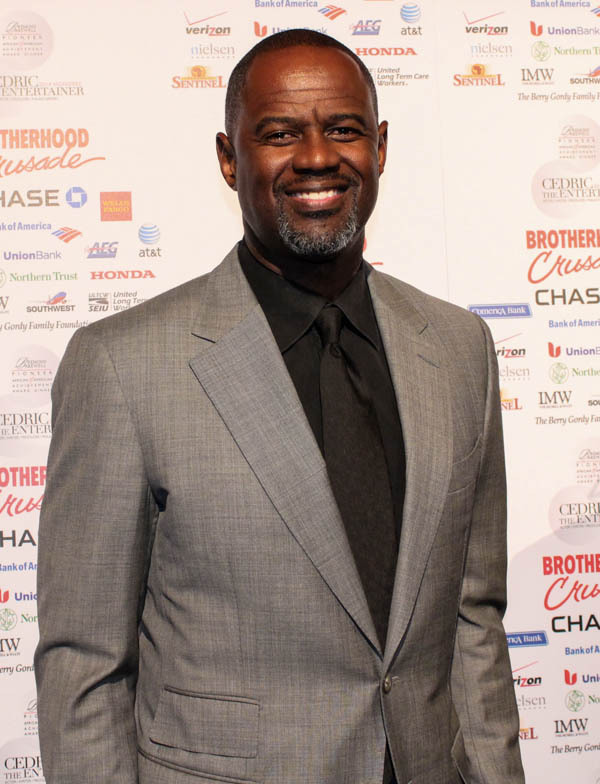 HUNTSVILLE, Ala. --- Famed American R&B singer-songwriter and producer Brian McKnight has successfully been recruited to be the new president of his former school, Oakwood University. "Anytime Oakwood calls I am willing to help," said the artist, whose music has earned him 16 Grammy Awards nominations. "I initially struggled with the idea of having to publicly swear off BBQ ribs to take on the presidency role, but I grew up a 5th-generation Adventist and I realize that Oakwood is worth the sacrifice," said the singer, adding that he has given much thought to the future of Oakwood since accepting the position as president. "Although we have always been known for strong academics, I am looking forward to building on Oakwood's legacy as the launching pad for just about every Adventist celebrity worth mentioning," said McKnight. "I got my start in gospel music and my early experiences at Oakwood are part of what later powered my career in showbiz," said the artist, stressing that he wanted every student at Oakwood to be afforded the opportunities he had enjoyed. "My brother Claude was part of the original (a cappella group) Take 6 and since they also got their start at Oakwood one of my first moves will be to install the current Take 6 singers as my executive team as we chart a brave new course for our great school." Although he was expelled from Oakwood for breaking dormitory rules as a student, McKnight has long since gotten over the slight. "Oakwood is the only one for me," said McKnight. "It feels good to be back at (square) one." I would assume that President McKnight would also find a position somewhere in the college administration for Richard Wayne Penniman, better known by his stage name Little Richard. When I taught at Oakwood College (1975-1982), Penniman was often remembered as perhaps the most famous person to attend the college. Penniman gave up his early musical success to attend Oakwood College as a theology major, before again returning to the public eye to continue his musical career. Some would suggest a position in public relations, or even in the music department. Don’t worry, Loma Linda is about to make a big announcement. It’s top scientists are hard at work inventing a genetically-modified form of Carob that will look, taste, and feel just like chocolate. A lab assistant accidentally leaked the details of the secret recipe: the cocoa plant was modified to have 1% carob genes. Although the product will be 99% chocolate, the package will say “Carob” in big print. The phrase “With Added Ingredients” will be in fine print. The “other ingredients” (chocolate) will be identified in microscopic white print on a white background. When asked if the approach is a bit misleading, researcher Sam Stout explained, “I’m a scientist, not an ethicist.” The new “carob” will be ready for mass production by next Valentine’s day and will be sold in an Adventist Book Center near you. Another rumor circulating around Loma Linda is that President Barack Obama is in negotiations with the Loma Linda University board of trustees to take over as president and CEO of the university in 2017. The board is still debating whether to invite Vice President Joe Biden to become senior vice president. “His reputation for gaffes and Bidenisms is somewhat worrisome,” remarked board chair Laurel Cooper, who was concerned that Biden’s loose talk might affect financial donors. The chair also explained that Obama and Biden will be exempt from the policy requiring administrators of SDA colleges to be members of the church. As long as Obama and Biden are willing to publicly promote church values verbally, they will only be required to “talk the talk” and not “walk the walk.” “It’s a win-win solution,” chimed Dr. Cooper. And let’s bring back the ghost of David Livingston Tigner to be president of PUC. David went on to become one of the greatest classical baritones, ever, right up there with WIlliam Warfield and Paul Robeson, and, sadly, died way too young. But, by Zeus, what a magnificent voice! And what a good friend to so many. I second the motion on David Tigner….what an incredible singer, person and roommate…I can still hear his voice as he walked around PUC campus singing with joy. I will always carry that memory with me. I hope it is still echoing around campus for those that can stop and hear. I, too, recommend “Little Richard” to be a part of Oakwood. Great asset!!. “Little Richard” should be placed in charge of the Sunday services. Think of the tremendous credibility, scores of baptisms. Former SDA’s will flock to be re baptized. Get ‘er done!! Woe is me! Absolutely! And lest anyone fear that Brian McKnight, Little Richard, and Katy Perry don’t have a master’s degree (much less doctorate), that’s an easy problem to solve. Oakwood and Southern can simply confer an Honorary Doctorate upon them. “That’s ‘Doctor’ ____ to you, sir” I can hear them say. Wait…. Didn’t Justin Bieber attend PUC? No that Canadian college university place. Wait a minute– Didn’t PUC turn down the Carpenters back in the 1970s because their music was too wild? One thing for sure, Justin would support Women’s Ordination. He has little patience for the silly games the GC is playing on that issue after reading http://goo.gl/UrpN5c . This just in from the National Weather Service – Hell has just froze over!! I was waiting on this type of response. This is a fat lie! The president of Oakwood is Leslie N. Pollard and has been for the past few years. Brian McKnight should get over himself.